The girls have thoroughly enjoyed this weekend! Friday was a peaceful evening with the girls doing their prep in Pentreve house where they had Mrs De Gruchy teaching them written and spoken English, all reinforced by watching a film on the subject which the girls thought was great! Afterwards, the girls feasted on some weekend nibbles whilst watching Toy Story! All tired, the girls were in bed and Nicole had an exciting athletics competition in the morning so needed a good night’s sleep. Nicole was out early at 8am while the rest of the girls enjoyed a longer sleep. In the afternoon the girls had a cream tea at Poltisco House. Svenja was hesitant with the Cornish clotted cream, testing it first before liberally applying the delicious stuff to the sultana scone. The girls all agreed, the cream tea was good and that we should have it again. In the afternoon we went to the sports centre to meet Charlotte who is a professionally trained Bollywood dancer but also does Bollywood inspired arts and crafts inspirasiandance.co.uk. Charlotte brought with her all the different parts we needed to create our own bracelets and face masks. 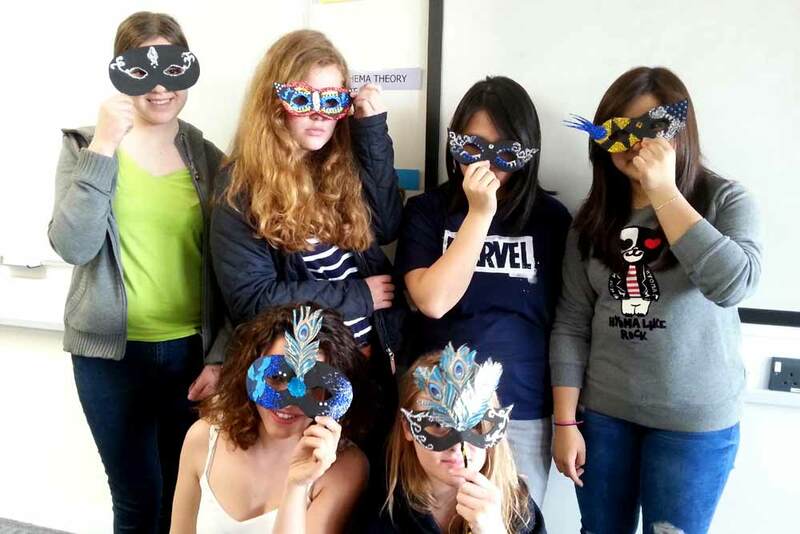 The time flew by but at the end we had created various beautiful beaded bracelets and elaborate face masks. When supper time came along all the girls were hungry and looking forward to homemade pizzas. Nicole came back in time to create her own pizza with the success of coming third in her athletic competition – congratulations! The Hunger Games was the movie of choice on Sunday with the boarders getting an early night after it had finished. Sunday was a day where the girls had lots of free time. They all caught up with friends with many keeping themselves busy in Truro town centre.